About eight years ago I played my first game of Dance Dance Revolution. I was waiting for someone in Tokyo when I spotted a lonely machine sitting in a corner. I popped in a 100 yen coin and tried to figure it out. I’ve been a fan since – especially of the ones that don’t make me embarrass myself physically, like Pop’n Music, the Bemani series, Guitar Hero 2 and Gitaroo-Man. Anyway, I got the opportunity to port a really huge hit in this genre to a mobile phone. I just couldn’t pass it up. Hopefully I can get back into my other projects soon. (Few months?) I’m sort of under NDA so I guess I can’t really talk about it. Oh, and I’m back from Hong Kong and answering emails and such again. 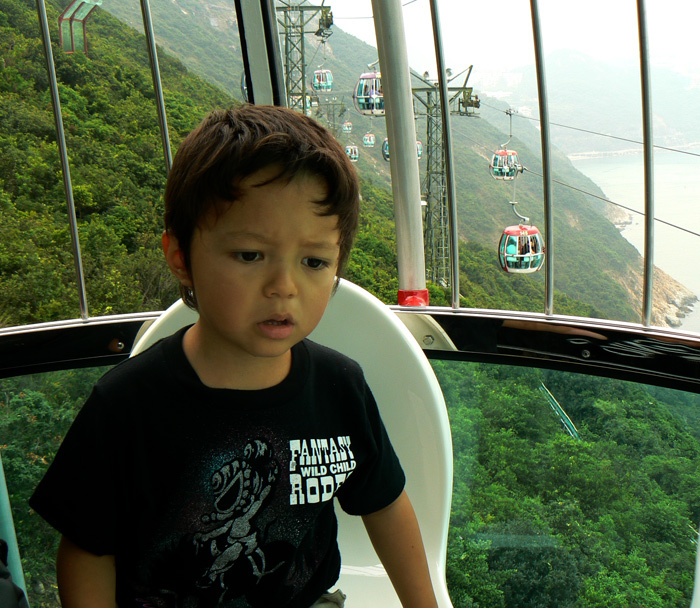 Here is Cosmo in fear at Ocean Park. This entry was posted in Development/RTsoft, Life on August 24, 2007 by Seth. Just wanted to say that I am a fan of LORD…keep on rockin’ the game development world my friend!